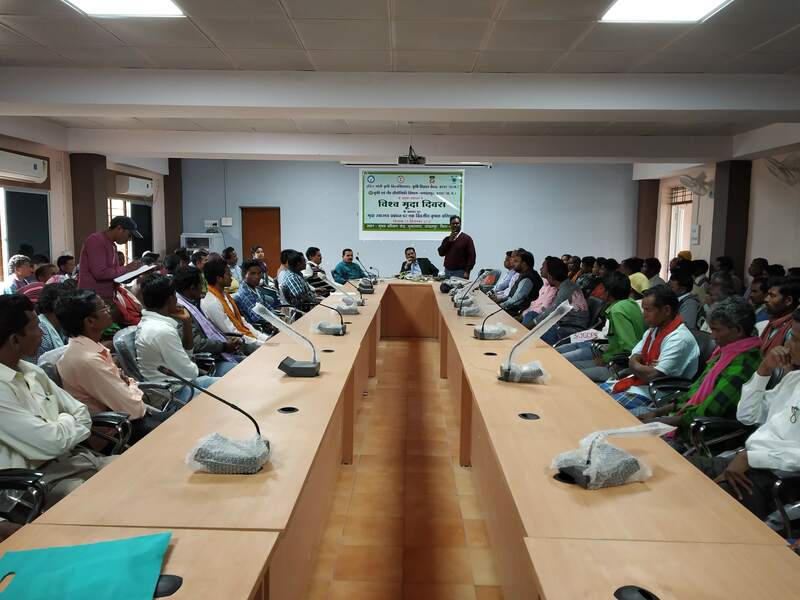 Event organized on world soil day in which training program on soil health management conducted in the presence of 20 official and 205 farmers at Farmer Training Centre, Kumhrawand, Jagdalpur. Lecture and other activities are also conducted by KVK officials . Lecture delivered on the importance of organic farming, soil sampling, soil health card, INM & IPM. Another event is Audio Visuals for soil health management and awareness. 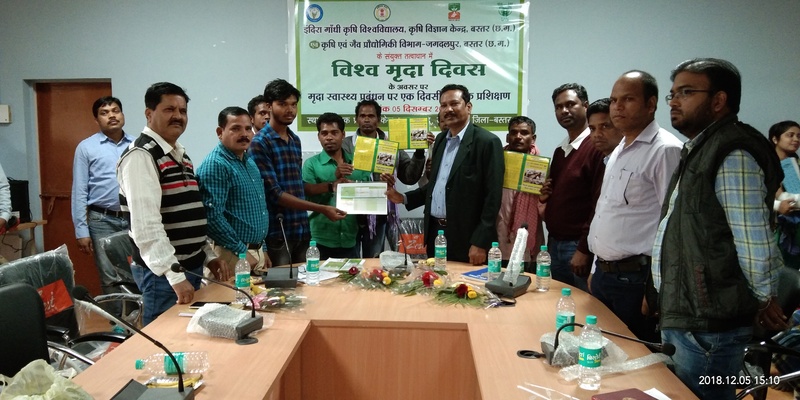 And Distribution of soil health card among farmers.